Weather is such a worthy adversary when it comes to traveling. I hate waking up hearing that there’s rain outside that will ruin my travel plans. Great thing though that whenever I’m already out, the weather god is most of the time very cooperative with me. But of course, even the weather god is not perfect. There are some minor hiccups. Good thing the tree was there to help me out get a decent capture. 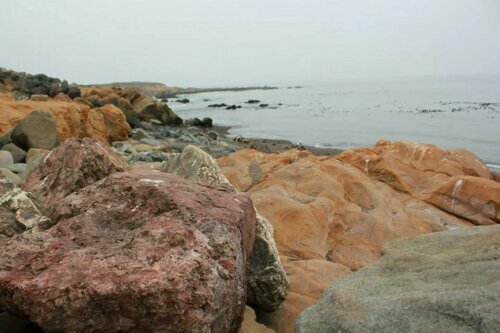 Fog was also covering most of the coastline that it was hard for me to appreciate it and take pictures of it. It was hard for me as well to drive California 1 as it was blocking my view. Tsk Tsk Tsk.. It started drizzling. 😦 You can see the ground is now wet. You can also see christmas trees on the door. 😀 I continued gazing around but stopped taking picture ’cause don’t want my camera to get wet. I didn’t get to take a picture of the little fountain and the church together. 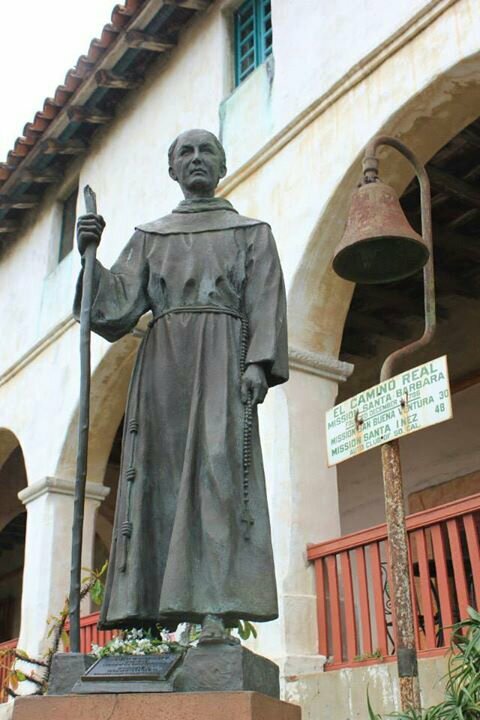 You can read some more about Santa Barbara from my great blogging friend Debra – here. She very knowledgeable of the different missions in California. Urgh! Can you imagine that with water actually falling down!? Urgh! So when was the time that a bad weather ruined your trip? 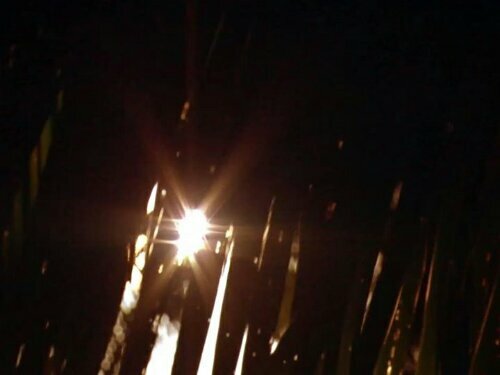 Though, you will see a thin smoke-like something that is moving. Then, you will see a footstep on the floor as if it is entering the door, and it will disappear…. Ooooh …. Throwback pic… This next ghost happened to appear on the camera. I guess it wanted to eat the food we left on the floor. Unlike me, hermitsdoor managed to get clear shots of Morro Bay. Follow him to his adventures. Be amazed by his words and poetry. Get your mind running by good conversations and your eyes pleased by his photographs. Living in a RV, we are close to Mother Nature. The wrath of her temper has us always checking for winds and storms. Thanks for sharing all the other bloggers. I enjoy checking them out and if not for you I may not have come across them. You must have been out and around on Sunday… I had 50 tourists on a beaches tour… they couldn’t even see the beach, let alone the mountains or the ocean through the fog… I felt so bad for them. Next day the sun came out and it was beautiful again! I checked out the other blog on Morro Bay… thanks for posting that… been a few years since I have been up that way.. need to visit again. Yikes! Awful timing. Yeah, I gotta go make another stop at Morro Bay and see if I get lucky the second time. You have a great deal. Weather, weather everywhere. Thanks for the follow up. Earlier this year, we travelled in our “backyard” to Blackwater Falls, WV. We have 5 inches of rain the day before. The falls were roaring stronger than I have ever seen before. Rain and sunshine are all in the timing. Hello featured blogger. 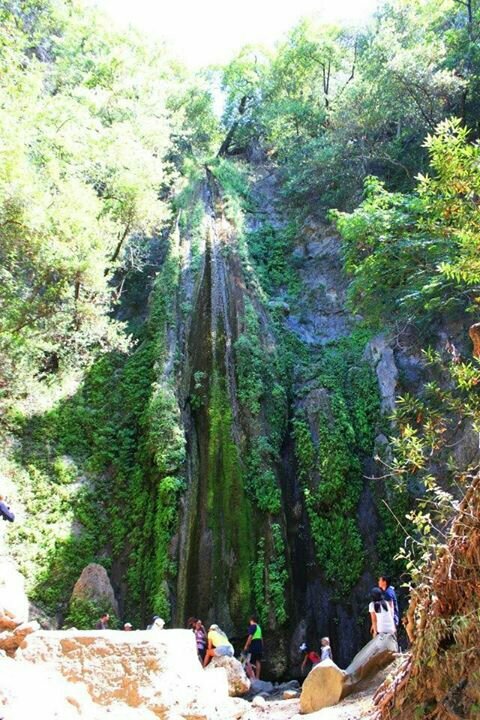 😉 The next I plan I go to Nojoqui Falls , Ima have to make sure it rained the day prior. Great picture by the way. 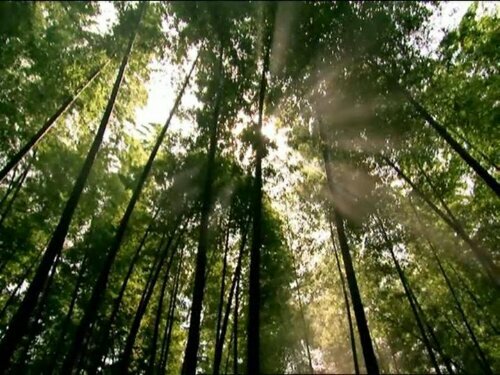 I loved the one in the church and specially the one with sun rays peaking from the tree branches. Nobody should hate the rain. They should hate it when it don’t ever shows up. It just not good when it comes to travelling. Are you talking about the video? Just look to the right. You will see a little bit of cloud of smoke that looks as though it’s going inside the double door. Then you will see a footprint on the floor. The footprint is hard to see. Hmmm….Morro Bay in the mist. Not ideal, but what can you do? I still like your pic, Rommel. It looks mysterious. 🙂 I’ve been to the Santa Barbara Mission, and the weather was absolutely beautiful. 😛 The Nojoqui Falls are stunning in any weather, I would imagine. Hopefully when I visit other California Missions the weather god continues to cooperate with me. Weather? Sure, when living in an RV, we experienced all kinds of weather. While here on the eastcoast, we first experienced tornado warnings, severe storm, strong winds and heavy rain! It sure dampens our spirit but we try not to let it ruin our adventures. Oh but Rommel re: It’s so not you – Don’t judge a book by it’s cover 🙂 Happy Halloween probably the day after. Oh wow!!! That is so cool! Constraint versus lifespan. Here in Okinawa the tree have wood supports around them to protect them from strong winds as well. It doesn’t look good neither but it’s for their own good. Sometimes while traveling I get too focused on the weather and how it will affect my photos. I have tried to just relax and enjoy the experience instead. While we were at the Santa Barbara mission, there were dozens of colorful, intricate chalk drawings on that concrete area outside the front doors…fabulous! Oh yes! I can attest to that. 😀 When we met up, I was actually surprised that you were considering about the weather. 😉 I gotta check on those chalk arts as I have yet to witness it anywhere. I remember being bummed about the weather when we met but I loved a few photos I shot right around the harbor that day, and of course, getting to meet you. 🙂 So glad I got that opportunity and didn’t let a little weather get in the way. but sometimes bad weather brings about serendipitous events.. like getting that great shot of that tree.. Thank you for the link, Rommel! I appreciate it. Weather can really spoil a photo shoot! 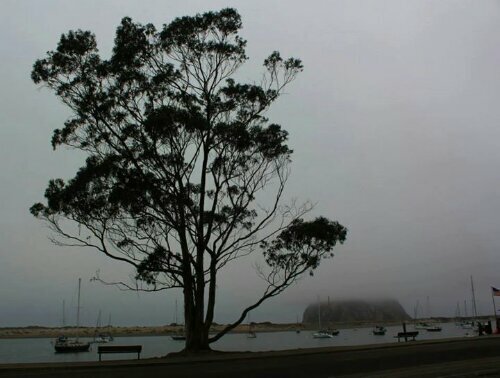 But even your photos in the fog are quite nice, as they accurately represent Morro Bay and Santa Barbara. You never know what you’ll get in the Central Coast! 🙂 I hope your Halloween was safe and happy, not too spooky! I don’t believe in ghosts either…so why do they scare me? LOL! It rained during Halloween here. It’s okay. I’m not at all fond of halloween. Plus, we were bright and early for work the next day. Someone finally mentioned it. 😀 It wasn’t the ghost’s pants though. Love your bad weather photos! I used to think the weather was my friend until this trip to the North of India. It rained out a few of my plans. But still we have never had days that couldn’t be salvaged. Better keep my fingers crossed. Bad weather on a trip 😦 I know exactly how it feels 😦 Still, I like the pictures you managed to capture. With all the trips you have gone to, you probably had a good fair share of bad weather during your travels. Thanks, Paula. I saw the fountain photo in the back of the mission and I thought….HEY! I’ve been there! 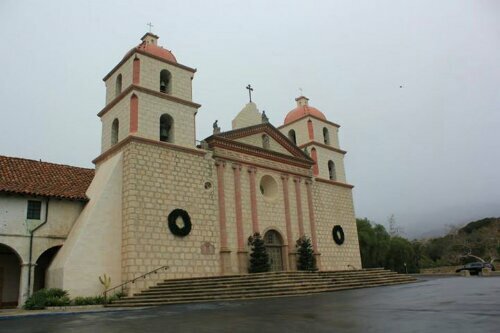 I know that place and sure enough it is the Santa Barbara Mission. Ahhh so beautiful! Well, not as pretty in the foggy rain, but it brought back memories for me. And that video with the ghost and camera shaking a bit. Eh..I don’t think so. That is a long exposure shot fer sure…. aaah… nice to know! Out of all the missions I’ve been to, Santa Barbara has the best fountain and church combination. The church is awesome too. This has happened to me so many times. I have been to Japan a couple of times and been past Mt Fuji at least half a dozen times. Every time the cloud obscuring the mountain was between something like mostly covered to total pea soup fog. One trip even had me in five days of tropical monsoon storm hitting the mainland. I reckon you could extend this post to scaffolding, where you plan a trip to a fabulous city destination with an iconic landmark only for half the facade to be covered by… scaffolding and hessian covers. Ooooh yes…. You brought up a good additional topic. the most memorable ones for me are the scaffolding in Sevilla, Spain and the construction works in St. Peters Basilica in Rome. It is one of my wish to climb Mt. Fuji. I’m afraid I won’t happened due to timing. I crossing my fingers to see Tokyo and Kyoto though. Thanks for the comment and visit, cyardin.